Achieving (and keeping) peace of mind is high on my priority list, yet my choices didn’t always reflect this, particularly when it pertained to my work. Over time, I realized that I needed to change to live a more peaceful life. If you’re feeling stressed, overwhelmed, and frustrated, it may be time to bust a few misapprehensions. Here are a few of the main ones that compromised my peace of mind. 1. Money will make me happy. I formerly considered money and material possessions to be the ultimate sources of happiness, and my life’s aim was to earn and acquire as much as I possibly could. Because of this, my professional commitments were constantly eating into my personal time with my loved ones, and vice versa. There I was, trying to give my best at work while simultaneously catering to the needs of my family to the greatest extent possible. I was trying to excel at everything, but I wasn’t doing justice to either of my roles. And I wasn’t enjoying any aspect of my life. There came a point when I realized my schedule was depleting me, and I could not serve from an empty vessel. Now, I’ve come to understand that money can buy you fancy things but not happiness. There can be no happiness without peace of mind, and materialistic things can’t provide that. Indulging in a certain degree of hedonistic pleasure will do you good, but happiness comes from feeling at peace with who you are and how you spend your time. Also, spending wisely can make a huge difference to your peace of mind. Today, investing in meaningful and memorable social interactions such as family vacations, sporting events with friends, and concerts with near and dear ones brings me more satisfaction than spending money on a pair of designer shoes ever did. 2. There’s no room for mistakes. It’s hard to feel peaceful if you punish yourself for making mistakes. You may even end up avoiding risks and new experiences to escape the pain of your own self-judgment. Remember, trying new things not only opens up avenues for you, but also brings a sense of fulfillment in life. The key is to perceive mistakes as lessons rather than failures. I could easily get down on myself for, consciously or unconsciously, choosing material gains over all-round prosperity. But, choosing to learn from experience worked wonders in speeding up my healing process. Now, instead of focusing on my errors, I pay attention to the feedback received and the experience gained. Instead of feeling bad for focusing too much on money and things, I focus on learning from my past, letting it go, and making my present better. At the time, my near and dear ones told me that they missed my presence and attention. They also mentioned how they worried about me neglecting my needs while trying to double my earning capacity. So, these things had to change for sure, and over time, I did find balance through conscious efforts. I feel so much more in control of my destiny now, which brings me inner peace. I didn’t think bouncing back from supposed failures would feel this empowering, but it does. Think about it; if you learn from mistakes, you end up a much wiser and happier person, so really, mistakes are valuable. 3. Shunning negative emotions brings peace of mind. When my mind was troubled, I often experienced bouts of anger, frustration, anxiety, and other negative emotions. And I tried hard to fight them. There were times when I masked them under the guise of a fake smile, indulged in a lot of retail therapy, and even overate to make myself feel better. I wanted to get rid of my demons by any means possible. Emotions don’t go away when we hide them. If anything, they control us even more; we just don’t realize it. Also, emotions are what make us human. Not feeling them means we’ve become robots. Avoiding negative emotions can give you the feeling of being trapped in a prison, because when you can’t accept them, you can’t deal with them. You deny yourself the opportunity to resolve those feelings permanently and feel free. I’ve found healthy ways to come to terms with my emotions with the help of mindfulness, meditation, and even by writing them down. Peace doesn’t come from suppressing your feelings; it comes from working through them. 4. Getting ahead in life is all that matters. In our quest to stay ahead in the rat race, we forget that no amount of getting ahead will ever feel like enough. And more importantly, by pushing to get ahead in one part of our life, we “fall behind” in others. When I was focusing on money and material pleasures, I missed family milestones and cancelled on friends’ get-togethers just so I could work more. This, in turn, made me stay late at office, even though I was well aware that my family awaited my return so we could spend some valuable time together. I thought I’d make up for lost time later on. Little did I know that ignoring my needs would affect my relationships, physical health, and mental state. I’m glad I realized my true priorities sooner rather than later and that I made a conscious effort to create balance. We often undermine the importance of balance. We cannot expect to find peace if we’re constantly chasing our dreams and neglecting ourselves and our relationships. A lot of people are under the impression that only achievement will bring them happiness and peace. However, this is far from the truth. Sure, secure finances are crucial to our peace of mind, but we need to draw a line between what we need and what we want and focus more on the former. Only then will we know real peace. 5. I need to hold on to my past and think about the future. No, you really don’t! We can experience peace of mind only in the here and in the now. I live in the present and this is where I find my peace. This is where the answers to all my pressing questions are. If I keep going back to the choices I made in the past, I will never be able to move on. I believe that I made the kind of progress that I did because I chose to let go of my former decisions and lifestyle, and I stopped thinking about the money I was going to have in the future. I consciously became more concerned with what I was achieving in my present. Holding on to your past will only allow it to control your present. Everyone has experienced a mix of happy and hard moments. While reminiscing about the good times once in a while is fine, you need to let go of memories and moments that hold you back or instill fear in you. Thinking about the future, on the other hand, will lead you to daydream and imagine potential outcomes, which may be far worse than the reality. So pondering too much over what’s to come won’t help much either. Life always happens in the present, and it’s only by truly experiencing it that we can find peace of mind. 6. To express my feelings is to be weak. Being in the situation that I was in (and knowing that I’d brought it upon myself), I wanted to talk about how I was feeling and seek help for dealing with it. And it’s not like I didn’t have an audience. I knew I could always speak to my family and friends, and they’d offer me an ear and a kind shoulder to cry on. However, I was too afraid of being perceived as weak or vulnerable, which reinforced my silence. After all, I was supposed to be the pillar of strength to them, and not the other way around. A lot of us feel uncomfortable expressing ourselves. This is especially true of people like me, who grew up in a family that didn’t encourage open expression of emotions. I had a hard time opening up to my family about the hardships I was facing, but when I did, I experienced a catharsis of sorts. It was liberating to not have to carry the anxiety and frustration alone. You can experience this too. We need to realize that expressing our emotions in a healthy manner is a sign of strength rather than weakness. It takes a brave person to be honest about his or her feelings. More often than not, the bravado is rewarded with peace of mind. 7. I need to be or feel a certain way. The truth is, you really don’t need to be anyone other than yourself or do anything you don’t want to do. We all have this image of our “ideal” selves and we try to live up to that as best as possible. But, this can sometimes mean setting ourselves up to be someone we’re not. How can that bring peace? Accepting ourselves, on the other hand, can be immeasurably liberating. When we accept ourselves and our values and build our lives around what’s actually important to us, peace inevitably follows. Achieving peace of mind is a gradual and a continuous process, and it’s not just about knowing what to do, but also understanding what not to do. Start with busting these misconceptions and you’ll be well on your way to peace, happiness, and contentment. Brian Zeng is the owner of Ponbee.com. He is an entrepreneur by spirit. Through Ponbee, Brian would like to share his insights on an array of topics related to business, e-commerce, digital marketing, and entrepreneurship. His recent collection of motivation quotes will surely help you to see failure and success in a different perspective. 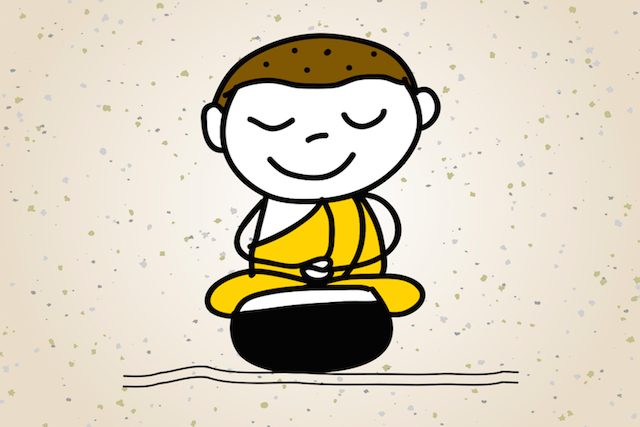 The post 7 Misconceptions That Keep You from Achieving Peace of Mind appeared first on Tiny Buddha. Previous What you need to know about the BREATHARIANS of the world…AMAZING!